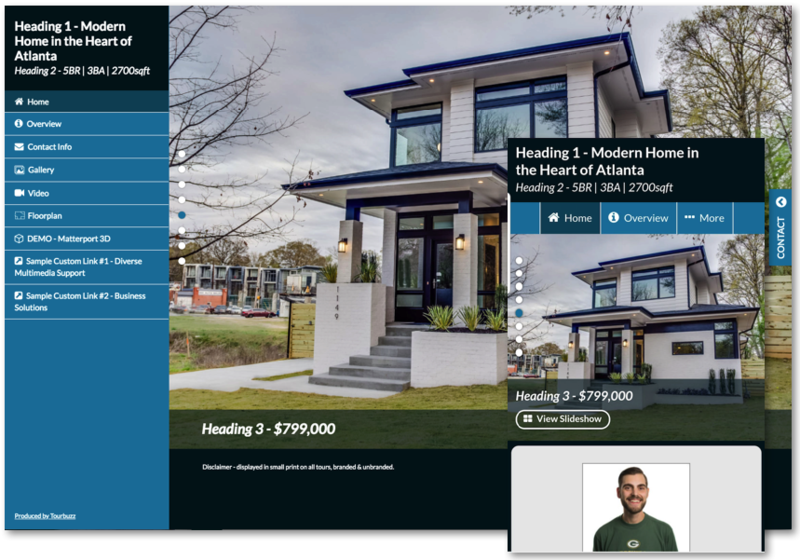 Twilight is one of our single property web experiences that allows you to market a property with a website look and feel while separating your different media types for individual attention. It provides a modern, sleek, single property marketing website experience. This setting lets you define the size of the image name/description that appears over the image while the slideshow is playing. 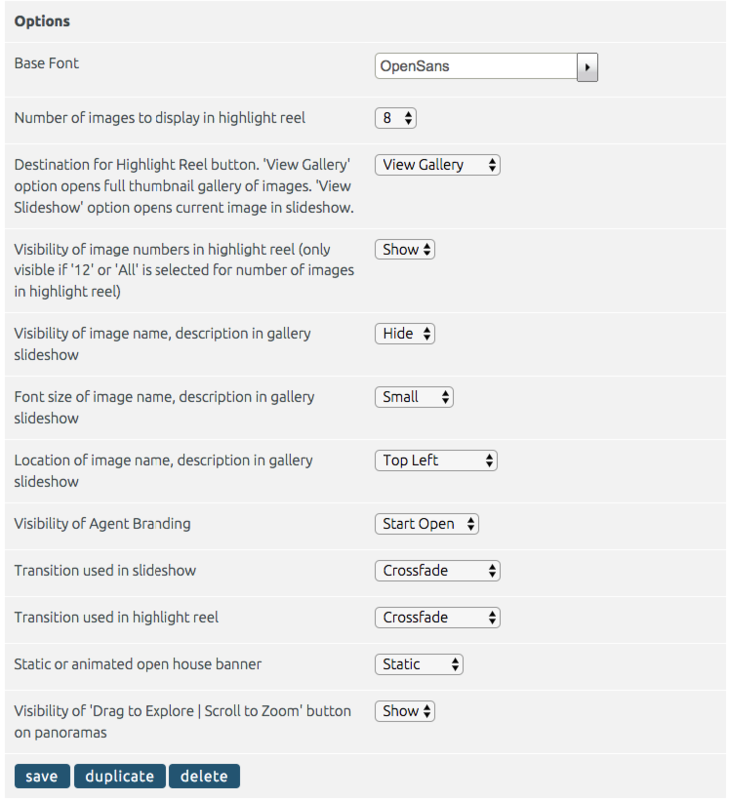 This setting lets you define where the image name/description appears on the image when the slideshow is playing. The options include top/bottom left and top/bottom center. If there is open house information added to the tour, this setting is define how that appears at the top of the page.